1. Montessori Letter Work, 2. The Red Letter Alphabet Book, 3. Les lettres à toucher de Balthazar (Letters to Touch) French, 4. My First BOB Books: Alphabet, 5. Around the World from a to z, 6. Eating the Alphabet, 7. My First ABC Board Book, 8. Museum ABC (of this in small board book), 9. I Spy: An Alphabet in Art. Otis was thrilled last week to again be doing letter/sound work at school. He loves playing I Spy and I realised there are still so many letters that he doesn't know. It also made me realise that all of our alphabet books have been out of rotation for some time! I love the Montessori concept of sandpaper letters and I think it's a fantastic idea to include tactile letters into a book. Montessori Letter Work, The Red Letter Alphabet Book, Les lettres à toucher de Balthazar (Letters to Touch) in French and Around the World from a to z all contain tactile letters. I also believe using sandpaper letter books can be a nice complement to the work being done at school - the letters don't need to be used in any official way if the child isn't up to that stage yet. I also really like the My First ABC Board Book as it shows crisp, clear images with a white background. This allows the child to focus on the images and not a story line or background noise. 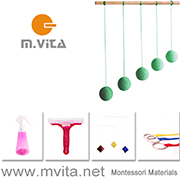 We know in Montessori children learn the lower case letter first and the sound of the letter. So while we have Museum ABC and I love the concept it is all upper case letters. It's also so much easier for the child if the objects have phonetic spelling. We also have Animalia which is an outstanding book however it's for a much, much older audience. Cut and paste 'a' images into a book midway down in this post from Imagine Our Life. We have lots of stickers at home and Otis could use the stickers in place of the cut out images. This would be reinforcing the letters he knows not necessarily to introduce new letters. Sounds Books from Crazy About Montessori. Free Printable 'I Spy' Cards from Montessori Print Shop - this would just be an extension of the I Spy game that Otis plays so much. 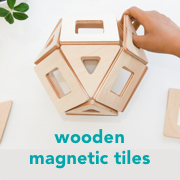 Letter Sound Necklaces from midway down this post from Just Montessori. Out of all the alphabet books I pulled out today Otis selected this one, ABC Canberra: A Beautiful City. We purchased this in Canberra and it is all photographic of things familiar with Canberra. It's nice to look back on.